The Coffee Collective Blog: Ekstreamely limitid BFF Cups will be sold in our shop starting friday at 07:30. Ekstreamely limitid BFF Cups will be sold in our shop starting friday at 07:30. The Bicycle Film Festival premiers for the first time in Copenhagen 17.-19. We love bikes and we love coffee. 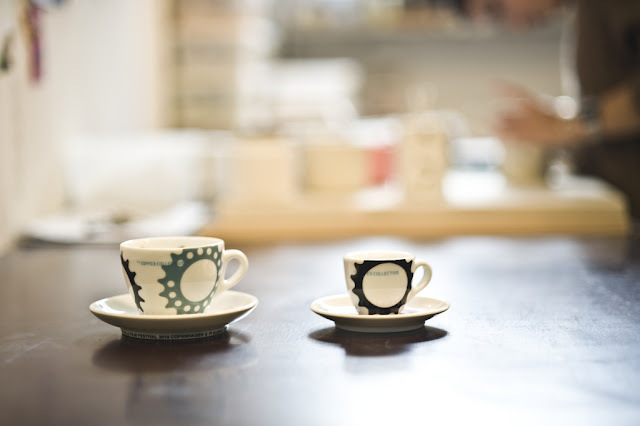 Thus we have teamed up with the BFF on a very limited run of 6 espresso cups and 12 cappuccino cups designed by one of Copenhagen's finest ceramic artists Pi Bjørg. Theese will only be sold in the shop so swing by and grap a piese while they last.